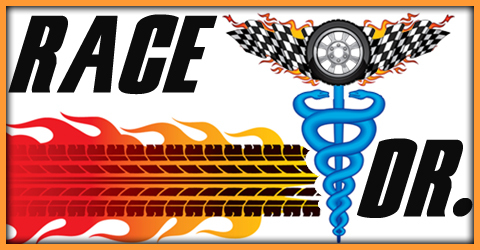 August | 2012 | The Race Dr.
My #5 driver is battling to make The Chase, #99 Carl Edwards. Carl is a three-time winner in Atlanta. He has 13 starts: those 3 wins, and eight Top 5’s. The secret for Carl is to stay out of trouble because half of his last four finishes were 37th or worse. But you can be sure that if his car is still running at the end of the raced he should be in the Top 5. The #4 is a three-time former-winner here, #14 Tony Stewart. Tony has 25 starts, three wins, and ten Top 5 finishes. Tony is fighting hard to stay in the Top 10 in points and is looking at this race as a great place to do that. Last year Tony finished 3rd and he was the winner in 2010. The #3 driver is the winning-est current driver here, #24 Jeff Gordon. Jeff has five wins in 38 starts with 15 Top 5’s. Jeff’s first win came in spring of 1995 and his last was this race last year – a span of 16 years. Jeff was and still is very good here and he needs to be good for him to make The Chase. My #2 pick is a driver that has never won here, #17 Matt Kenseth. Matt is 0 and 23 here. But Matt has five Top 5’s in his last 10 starts. Even with no wins, Matt is one of the most consistent drivers here, giving him the #2 highest average finish. My #1 driver has clinched a spot in The Chase and is very confident here in the A-T-L, #48 Jimmie Johnson. Jimmie has 20 starts, four wins, and 11 Top 5’s. Jimmie is very strong at this track: two years ago he finished third, last year he was second and this could be the right time for win number five. Good news for a driver looking to end the Race to The Chase on a high note. Monday look for our preview of the Federated Auto Parts 400 from Richmond International Speedway. Friday we break down the Top 5 drives to watch. Top 10 on Intermediate tracks, Thursday look for our Top 30 driver rankings for Sunday’s AdvoCare 500 from Atlanta Motor Speedway. HMS & RFR both keep their top spots again from last week. MWR trade places with Stewart-Haas Racing. Penske Racing stay at #4. JGR stay just outside the top 5 at #6. RCR also make no moves this week. RPM stay steady at #8. EGR can’t seem to get solid footing and drop to #10 while Furniture Row Racing move up to #9. These are the Top 10 Owner/Teams, Wednesday look for our Top10 drivers on Intermediate tracks. We have just two races to go until the Chase for the Sprint Cup. Atlanta is the fastest and probably the #1 favorite track amongst the drivers to drive on. Great sweeping turns and a smooth surface are two of the main reasons. At 1.54 miles it is a tad bigger than the many other “cookie cutter tracks.” Ryan Newman and Jeff Gordon are on the outside looking in the Top 12 and Kasey Kahne and Kyle Busch are just barely hanging in with the Chase drivers. Four drivers are mathematically locked into The Chase so this race will give the other eight a chance to lock it up. This race is the second night race here in what is turning into a Labor Day weekend tradition and P-A-R-T-Y. Who will lock into the Chase? It looks very likely we’ll find out on Sunday night. Tuesday look for our Top 10 Teams for week 25. Thursday we rank the top 30 drivers for the Advocare 500. The #5 driver to watch is on the bubble for the chase, #18 Kyle Busch. Kyle is currently 14th in points and sits just outside of the 12 drivers who will be eligible to be champion. Kyle needs a win or to score a lot of points in the next three races. Kyle will risk it all Saturday night. The number #4 driver to watch is a two-time former-winner here, #17 Matt Kenseth. Matt has 25 starts, two wins and 10 Top 5 finishes. Matt’s last win may have come in ’06, and he is leaving his team at the end of the year, but he has also scored six straight Top 10 finishes here in Thunder Valley including a second place finish in March. The number #3 driver to watch is the third hottest on the circuit right now and has the worst stats here, #39 Ryan Newman. Ryan has 21 starts, no wins and only one Top 5. But with The Chase on the line Ryan has been up on the wheel lately and is one of the best short track drivers. The #2 pick is a former winner, #48 Jimmie Johnson. Jimmie has 19 starts, one win and six Top 5’s. Jimmie is very happy to be here where he has the one win. He is coming off a blown motor last week at Michigan and is 11th hottest over the last 6 weeks. Jimmie finished in the Top 10 in seven of his last eight races. There have been some changes to the track here and no one is better at dealing with changes than his team, Hendrick Motorsports. My #1 driver is #1 hottest over the last six weeks and the winner of the last two races here, #2 Brad Keselowski. Brad has five starts, two wins and two Top 5’s. Brad is pretty much locked into The Chase so he won’t be racing for points, he’ll be racing for the win. 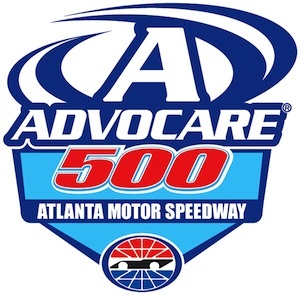 Monday look for our preview of the AdvoCare 500 from Atlanta Motor Speedway. Above the Top 30 drivers for Irwin Tools Night Race from Bristol Motor Speedway, Friday we’ll break down the Top 5 drivers to watch.